I have been waging a war for several years around here with the squirrels. These are the greediest, boldest bunch I've ever seen. They have totally taken over my bird feeders, holding them hostage as my little chickadees, finches, titmice, and others have to fend for themselves as able. When the squirrels are feeding, everyone else must keep their distance. Those squirrels settle themselves down, I swear practically tucking a napkin in and taking up fork and knife, and gorge themselves on seed half the day, emptying my feeders with alarming rapidity. My attempts at banging on the kitchen window, yelling at them, rushing at them across my deck, stick in hand, have proven a futile waste of energy. They do manage to stop their single-minded devotion to appetite to gaze at me, blinking with slightly bored annoyance. I'm no real threat. If I do chase one off and into the woods behind our house, he's back within 30 seconds, continuing his feast. I finally did what I should have done long ago, and that was to get some squirrel-proof feeders. These feeders will pay for themselves in two weeks, no kidding, with the amount of seed we're saving. The squirrels are now completely flummoxed, trying to figure out why their gravy train has left the station. They look, scratch themselves, peer around the feeder, and finally leave, rather dejected looking. I have absolutely no sympathy. The littlest birds are the winners here, enjoying a safe haven and a steady source of food. I get to enjoy their presence from my window, and we all feel much more relaxed. Well, the analogy here, though rather crude, is obvious, I hope, given the recent horrific events in Paris and throughout Europe. Would that we could "screen" the migrants, so that the innocent and needy can get through, those fleeing for their lives from ISIS in Syria. The evil ones, the ones intent on doing harm, need to be blocked. It seems cruel to turn everyone away (which I've done, analogously, by taking the bird feeders completely down in frustration), yet it is foolhardy, suicidal even, to let everyone in. There has to be a way to protect the innocent and thwart the plans of the evil. Would that it was as easy as my bird feeder solution. And while I'm on my soapbox, we need to do more than #PrayForParis. While I agree that prayer is powerful, I wonder if all this outpouring of sympathy is where it will end. Everyone lights candles, and then goes on next week to the next thing (except, of course, the families of the victims. Their world is forever changed.). The good Lord gave us brains to do something as well. Let's pray that our leaders will get to work on a real solution so that these tragedies, which are becoming all too common, will cease. It needs to be taken care of at the source. I pray the heads of state will do the right thing. As far as the squirrels, they are the same everywhere. I, too, have had them gorging at the feeders. I have added a squirrel feeder that I am now stocking with things they really love and I find them less at the bird feeders now. We'll see if it lasts. Wonderful post. I use safflower seed which is a little more costly but the songbirds love it and the squirrels don't. I put up suet in a separate place for the sparrows. The squirrels come to the back porch window where I am having coffee and beg. I make pb sandwiches, open the window and hand them out. Yeah, they can be stinkers. Your are so right! The Lord gave us brains, but I'm not sure our leaders much care what He thinks. That does not limit his power though! Thanks for the good post. PS Your analogy of migrants was genious. Thought provoking. Oh I agree. It is so alarming to do the research and discover that many of the dangerous are already here. I was chasing squirrels from the deck just this morning. I used to chase cats, now it is the hordes of squirrels. They even stole my pumpkins! They stole your PUMPKINS, Vee? Really? Oh my word! LOL! I would love to see that- too hilarious. hahahaha. Great analogy, Deborah. It's these kinds of acts that the refugees are fleeing, yet at the same time, we must be cautious and do due diligence. God grant wisdom to our leaders. No feeders around here. I'd love to have them but they attract not only squirrels, but rats who enjoy the seeds that spill from the feeders. Hate squirrels, truth be told. We wage war - well hubs does, i am afraid of All Things Rodent....and he does keep them away for the most part - oh, they really are brazen, are they not? My husband says we could feed hungry human families with the amount of money we spend on birdseed.....but he knows me and knows why we call our home Finch Rest......so we continue the war............so I feel your pain! As for the world - I pray - and when I start feeling anxiety and fear I put it at the foot of The Lamb.....knowing this is a war that GOD will win.............and know how it ends. It's ugly, but necessary, too - it's not ours to understand, but to Trust and Fear Not and try try try to be beacons of light whenever possible. Indeed a great analogy. I pray our leaders will work on a effective solution. A thought provoking post, certainly a time for reflection. There is plenty of news footage on the internet showing major problems where refugees (mostly young, healthy men...very few families or women) have been released. We watched some last night and I was just sick. We must rely on our Creator for our comfort. Hi Deborah, Well looks like you took a stand for the squirrel invasion. We had the same thing here and my hubby has a good handle on it now with our feeders too. But the squirrels still have a feast with what falls on the ground, so no sympathy here either. A big hearty AMEN, my friend! Like you said, prayer IS powerful, but we also need to take action and like Celeste said, our leaders need to wake up! 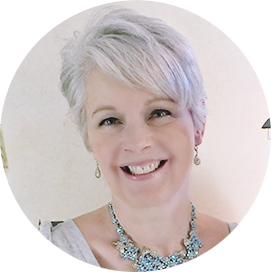 Bless you, sweet Deborah, for getting on your soap box and speaking the truth. We too had trouble with our squirrels. We even invested in a squirrel proof feeder but they got in anyway. Last winter it nearly drove me 'nuts' watching them gorge on my birdies food. You know, I always thought squirrels were cute until they made hogs of themselves. For some strange reason, they haven't touched the feeder all summer or fall. Maybe a hawk got them. Anyway, so far, so good! I agree with you too about our prayers for France. Our leaders in both of our countries need to use the wisdom God gave them. A soapbox comes in handy every once in a while! 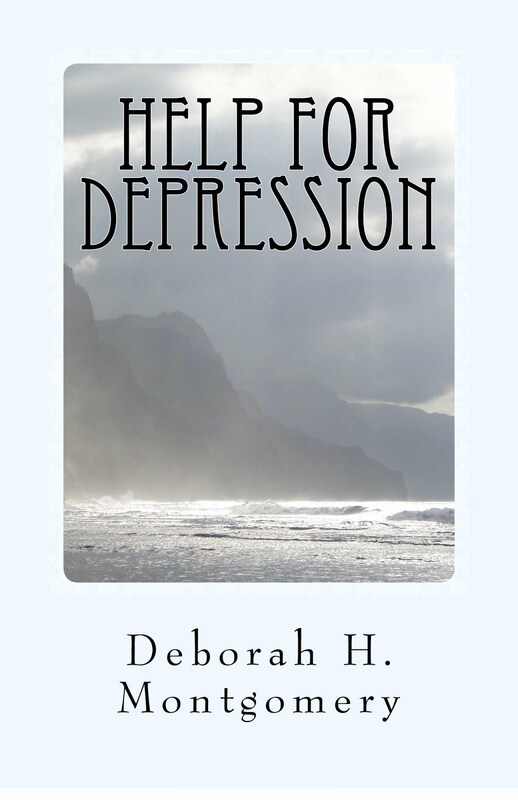 Thank you for sharing, Deborah. Amen Sister, amen!! I hope our leaders will begin to do something to stop the evil. Prayer is still needed that good will overcome evil in the world. Its something I pray everyday. 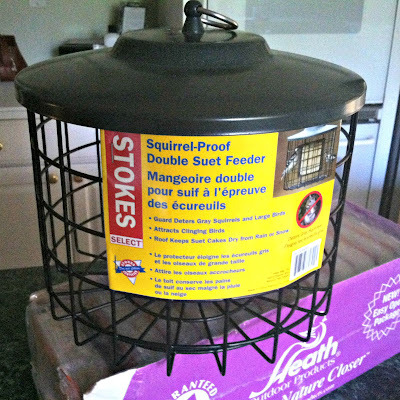 As for your bird feeder, I'm so glad that you found a solution to the greedy squirrels. I had the same problem and even bought a shield to put over the top, but I gave up. The birds still come because I have berries on my trees and the love my waterfall. 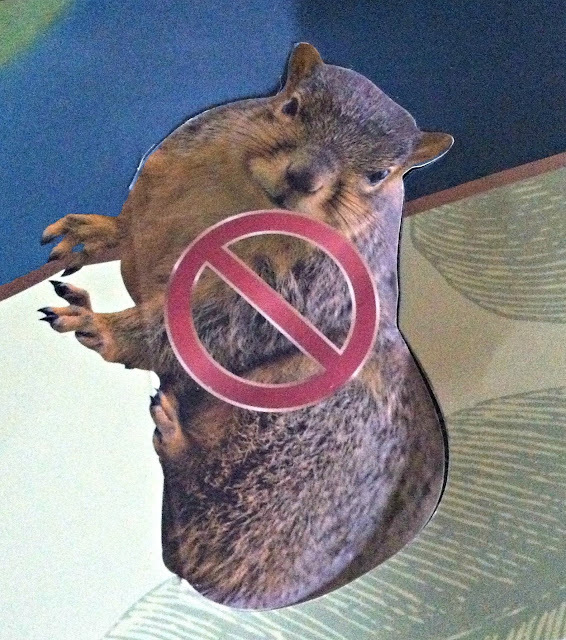 Condo rules prohibit me from using feeders so I've never had to deal with greedy squirrels. I'm glad to hear that you finally found a way to outsmart them! I agree that prayer requires action. We also have only squirrel prove feeders and still at times they manage to steal seeds; especially the sunflower seeds they LOVE. Let's pray for a better future with some true leaders that will bring back some PEACE. Great post, and I totally agree on prayers followed up with action. Even when it comes to encouragement, there's a whole lot more that we can DO than just tell our neighbor, I'm praying for you. Those gluttons! I am fortunate to have mannerly squirrels, who I much enjoy, including a couple black squirrels. They have their treats - nuts and sunflower seeds - and I use the suet bricks for the birds. The refugee question is a difficult one. Maybe we could bargain with Iran to take some along with the 40 Mil we're sending over? It IS a difficult question, with the persecution Christians have been facing how do we turn them away? Yet how do we protect our country from Trojan horses? Frankly, I do not believe that Peace at any price is true Peace. Between our last two president's policies, sadly, it's our gov't. that's created much of this mess. Wonderful, wonderful, thought-provoking post. Thank you for sharing your thoughts, I couldn't agree more. Visiting you from Rose Chintz. Oh Deborah I hope you have solved your squirrel problem now. I don't like them because they always get into my flower pots and make a mess!! I hope you are having a nice week. Enjoy the weekend and have a Happy Thanksgiving. Such a good post, Deborah. You tied it all up well. We had to go to window feeders to feed the birds because not only did the squirrels drive them away from the feeders but now our 3 hens do too! My husband still feeds the squirrels a 4 course dinner every day as we enjoy them so much too, and we hang the suet feeders from a line so they can't get to them. But your feeder looks like a good potential Christmas gift I could get for my husband, and the birds.